Anguilla has always provided a paparazzi-free getaway spot for celebs! 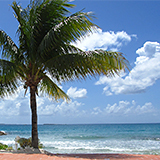 This fact has become common knowledge with high profile actors and singers now frequenting the island, bringing the media with them. Case in point... Brad Pitt, Jay-Z. Since Jay-Z, the king of East-Coast rap, has been visiting Anguilla, many more rappers have also started to visit, putting Anguilla on the celebrity vacation-location map! According to Allhiphop.com, Ashanti and Nelly were spotted here back in January of 2006. P.Diddy has also been spotted on the island! 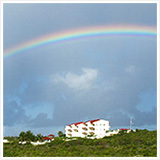 However, Anguilla had never gone so "public", if you will, as it did in September of 2006. In September 2006, Justin Timberlake released his album FutureSex/LoveSounds. One of the album's singles was the hit, My Love. Just bring wit me a pair, I will. 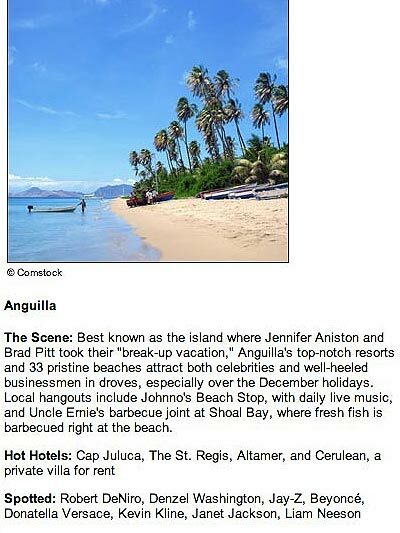 Imagine... Justin Timberlake, pop sensation, singing about our hidden gem, Anguilla, on one of his biggest songs!